A warm summers day in october. Oh yes, perfect for a visit to the Houweling Telecom Museum. I left it for far too long, especially with hindsight. After all, it is quite close to where I live. The reception was very warm and personal, the collection very impressive and the set up absolutely unique. A great visit! I was there for hours and left still with a lot of questions and there were still quite a few things I had wanted to have a better look at. So if I have the chance, I will certainly visit again! I have known about the existence of the museum for years, but never got around to visiting. 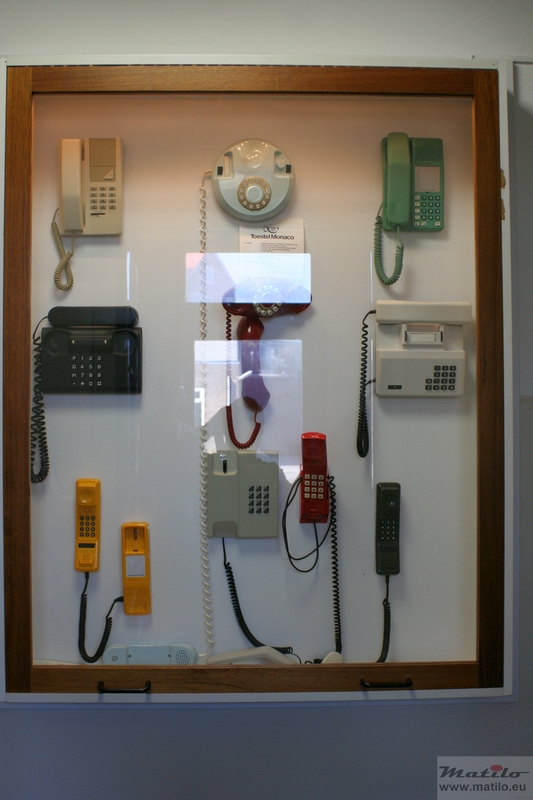 There aren’t many of telephone museums around, so I should be visiting them more often. I just found out that another museum closed before I ever visited it. So, since I owed myself a day off all to myself I decided to visit Houweling Telecom Museum. I was going to prepare well, so I made sandwiches before I left, found out that our good camera had an empty battery, could not find the spare battery, dug up my not so good camera which turned out to have a 2/3rd empty battery and hoped that it would have enough power to last the visit. Printed the directions at the last minute, and of course my printer failed to work. So I had to rush the kids to school to catch that nine o’clock train. 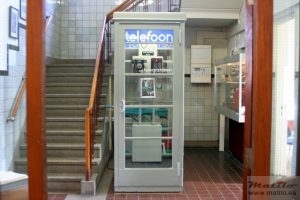 The museum is located in an old telephone exchange building in the city of Rotterdam. 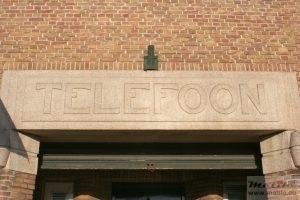 The name comes from a managing director of the Rotterdam telephone district, who made the museum possible. The building was built in 1923. 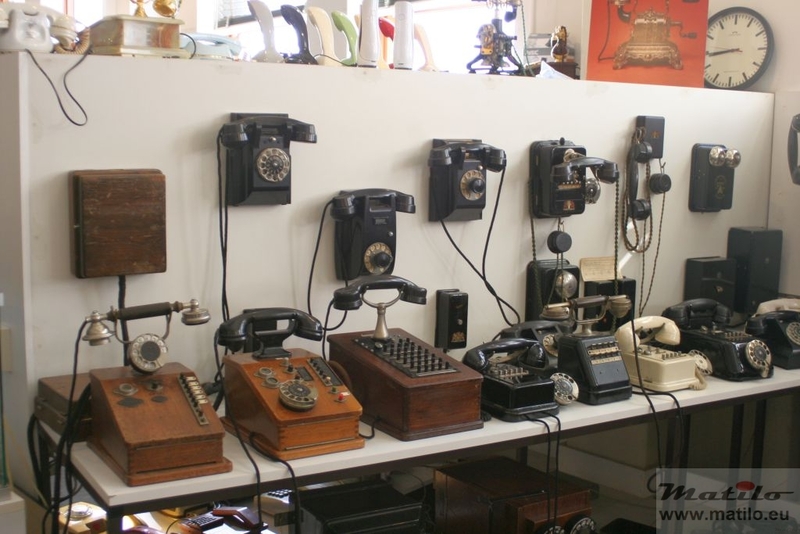 With technological progress, exchanges got smaller and so the room taken up with equipment decreased over the years. The space that came available a collection of telecome heritage material was housed and so the museum was born. It is run by volunteers, almost all of them ex employees of PTT or KPN, the successor of PTT. They have several rooms available over several floors of the building. The building is still in use as an exchange for land line telephony, albeit with modern equipment. There is a reception room in a small building next to the exchange, called the bunker. So I went to the bunker as instructed and was greeted by Hans Groot, who was my tour guide for the morning. There were alsp a lot of the volunteers and former employees. 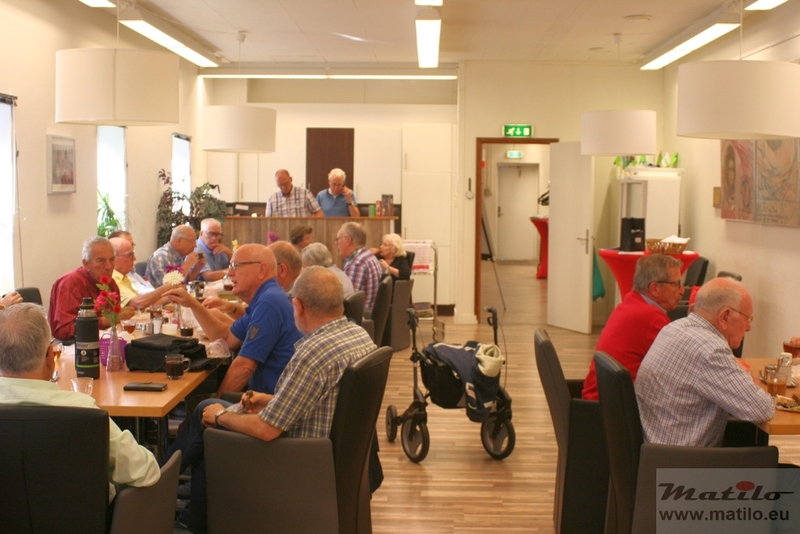 They meet up every Tuesday to have a coffee, man the museum, guide the tours, maintain the collection and work on all kinds of projects for the museum. So I had a coffee and a chat with some of them. The bunker is a separate small building, next to the old exchange. It is not called that for nothing. It was built by the Germans during the occupation in WW2. It has reinforced walls and ceiling, providing some shelter against air raids. 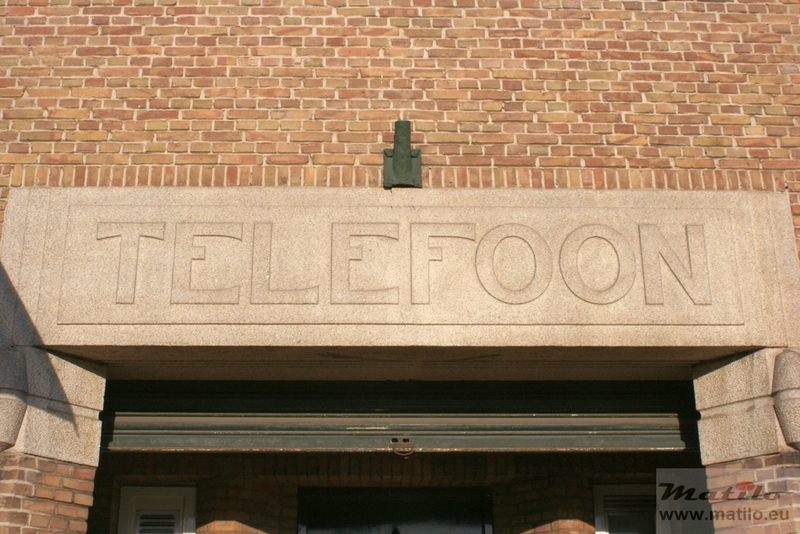 Rotterdam was frequently attacked during the war, it being a major European port, and the telephone infrastructure was guarded by German officials. 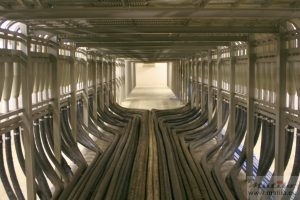 Subsequently Hans led me to the cable vault where all the telephone cables enter the building. 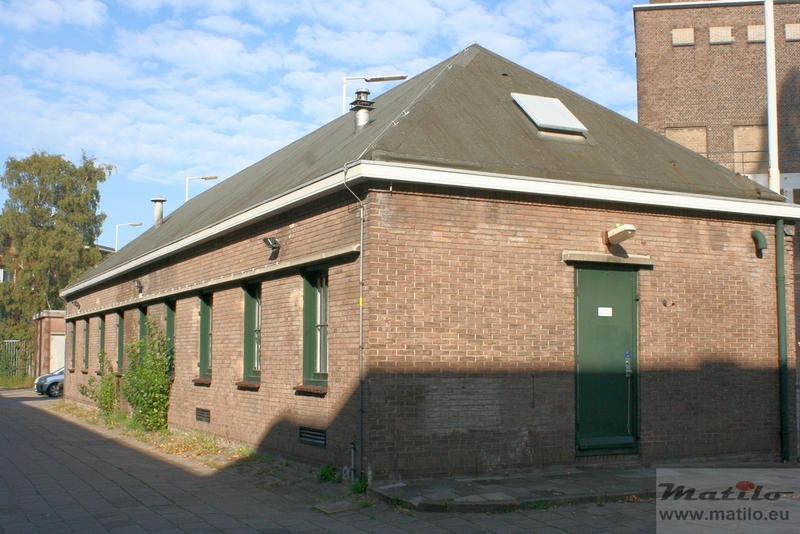 This illustrates the dual function of the building, as it is not just a museum but also an actual working telephone exchange for a large part of Rotterdam. 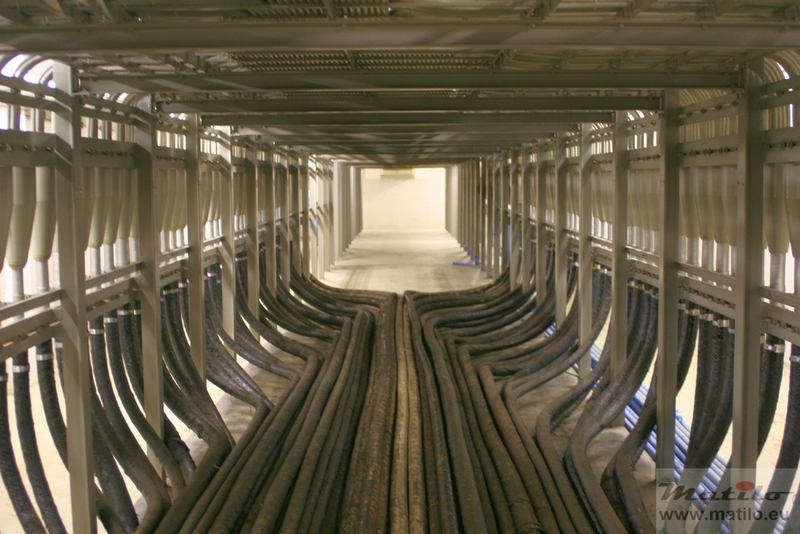 A surreal place, where all these thick cable lay there for decades, transporting all these telephone calls over thousands of tiny strands. In this case it is a regular stop for the guided tour and a great photo opportunity, but normally hardly anybody visits a chamber like this. Back in the main hall the exhibition starts. 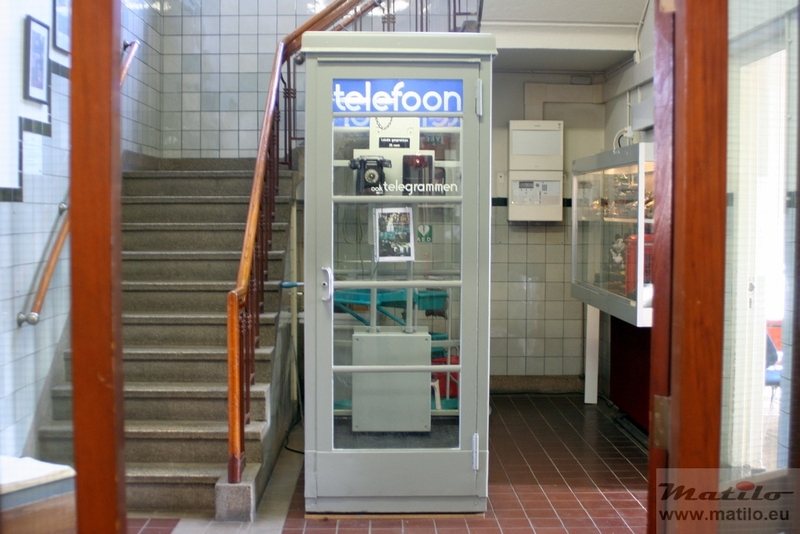 There are display cases with all kinds of items, foreign telephones, promotional gifts from the former PTT, a classic Dutch phone booth lovingly restored. A corridor to the left leads to several rooms with themed exhibits, which we visited one by one. 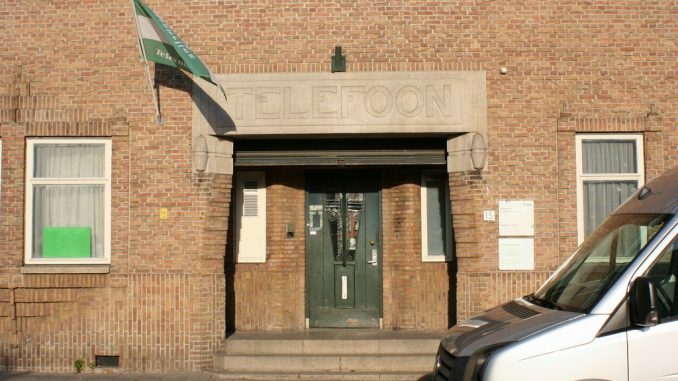 It started with a room with the salvaged and restored interior of an interbellum post office, complete with original phone booths, a room with all kinds of working switching equipment, cable technology, and of course telephones, a fine collection of telephones from the very beginning to the modern smart phone. During all this Hans explained everything, how everything worked, the history of it, often how they acquired it. 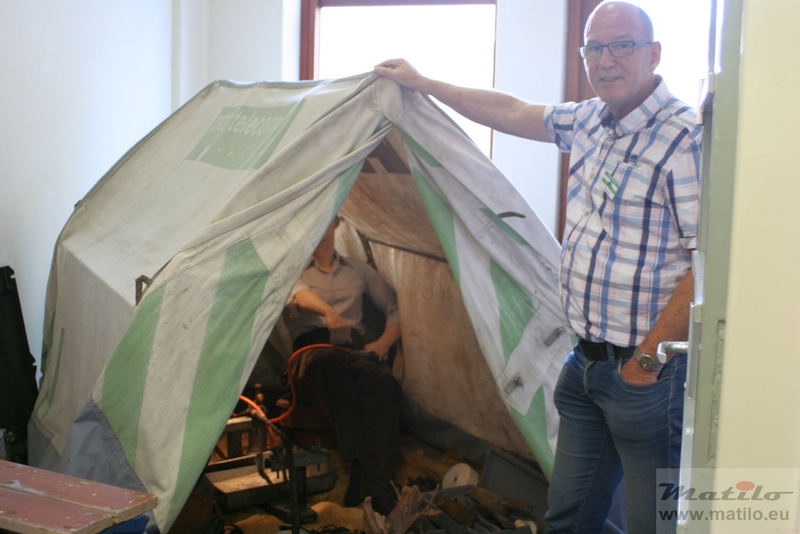 And all the while we encountered volunteers doing stuff, like maintenance, guiding other visitors, providing additional information to Hans’ story. After hours of wandering around, listening, asking questions, chatting and making photographs here and there I realised that what made this museum was not just the wonderful building and great collection, but it was the human fabric of volunteers woven in between the hardware that made it so extraordinary. It makes the museum something personal and gives it a lot of warmth, adds a buzz to the hum of machinery. And that is what made it a great visit. The museum is open on Tuesdays from 9 till 16.00 hrs. You can just walk in, but you can also take a guided tour from 10.00 till 14.30. A tour is 1,5 hrs. On other days the museum is only open for groups, by appointment. A visit is free, but a donation is much appreciated. Had the pleadure to visit there a few years ago with seven other TCI members on a 8 day tour of phone museums throughot Germany and The Netherlands! The volunteers made us all feel most welcome and it was a wonderful experience! The vault is unlike any I have seen in the USA!.